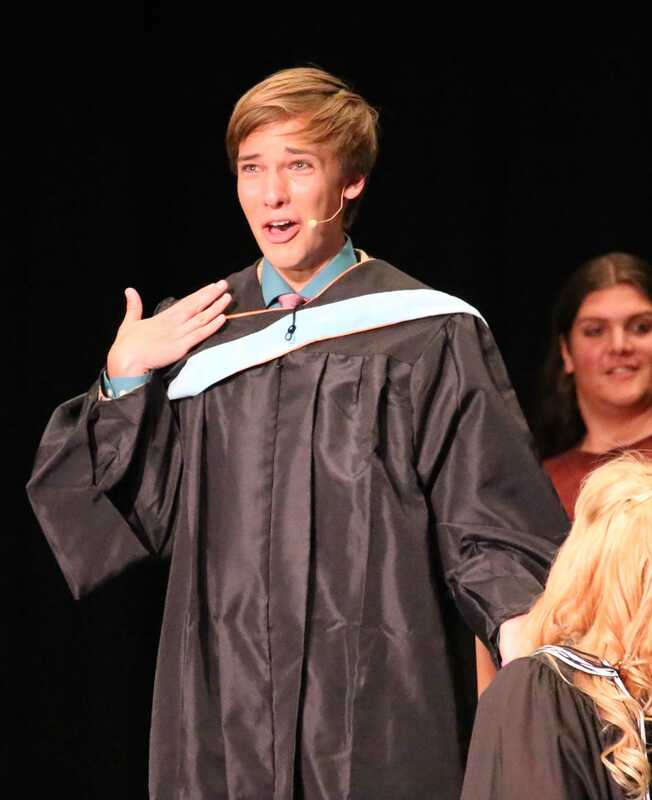 On April 29, playful music filled Buena High School’s auditorium as audience members anxiously waited for the second performance of Legally Blonde Jr. to begin. Elle, played by sophomore Kat Parks, calling her parents to tell them she got the internship. Photo Credit: Grace Carey / The Foothill Dragon Press. With direction and guidance from former Foothill drama teacher Karen Rodrigues, vocal director Kevin Downey, and choreographers Kassi Lackey and Maddi McCarthy, the cast did an excellent job of bringing music, dance and fun to the stage with an overall entertaining show. Similar to the movie, the story follows Elle Woods, played by Buena sophomore Cat Parkes, and her transition from a glamorous fashion girl from Malibu to a Harvard Law school student. At first, she only shows interest in Law to pursue love, but as the story progresses, her love for proving herself (in the brightest pink heels possible, of course) overpowers her original goals. 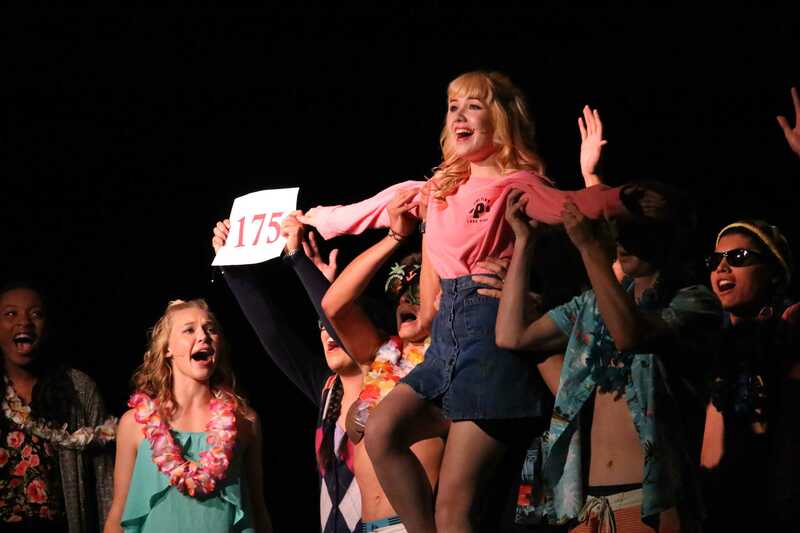 Legally Blonde Jr. is based on the broadway version of the story. According to director Karen Rodrigues, “The junior version is designed for schools to perform with younger audiences and performers.” However, just because it is “Junior” does not mean it is any simpler. “It is an extremely complicated musical with challenging numbers, costume and set changes.” The cast proved that they were up to the challenge, however, and delivered an outstanding performance. Determined to prove that she is serious enough for Warner, Elle applies for Harvard, and with the help of her friends (and a creative musical number), is accepted. On the first day, it is made clear that her bubbly personality and “Barbie” style are a joke to the students and faculty at Harvard. However, Emmett, played by Sam Votrian, sees Elle’s potential and agrees to help her prove to herself and everyone else that she is just as capable of becoming a strong lawyer. Emmett, played by Sam Votrian, reacting to Elle’s proposal. Photo Credit: Grace Carey / The Foothill Dragon Press. Thanks to Emmett’s help, Elle earns an internship on a case regarding famous fitness instructor Brooke Wyndham, played by Whitney Grubb. She is accused of murdering her husband, and it is Elle’s job to prove her innocence. Thanks to their previous involvement in Delta Nu, they share a “sorority sisterhood.” Brooke feels a special connection to Elle, and opens up to her about the case. Elle’s confidence, friendships, and relationship with Emmett are all boosting. However, when her Professor reveals that his reasoning behind rewarding her the internship was simply out of romantic interest, she starts to lose hope. In the end, Elle never gives up, and eventually proves to herself and everyone else that she can crack any case and do it in style, leaving the audience with an uplifting message and a positive finale. The cast was extremely diverse, each coming from different backgrounds and experience levels. Rodrigues states that “Most had never been in a theatrical production before, but they took to it like naturals.” Auditions began in February, and each cast member fully committed to the rehearsals five days per week, managing to balance it with sports, mock trial and drum lines. “They are a diverse and delightful group,” she adds. Kassi Lackey and Maddi McCarthy, both graduates from Foothill, choreographed the show. They were in charge of creating the dances and teaching them to the cast. Most of the cast did not have previous dance experience, but they thought it was “cool to work with people who weren’t dancers.” They both enjoyed watching the cast perform “So Much Better,” and were very impressed with the final outcome. 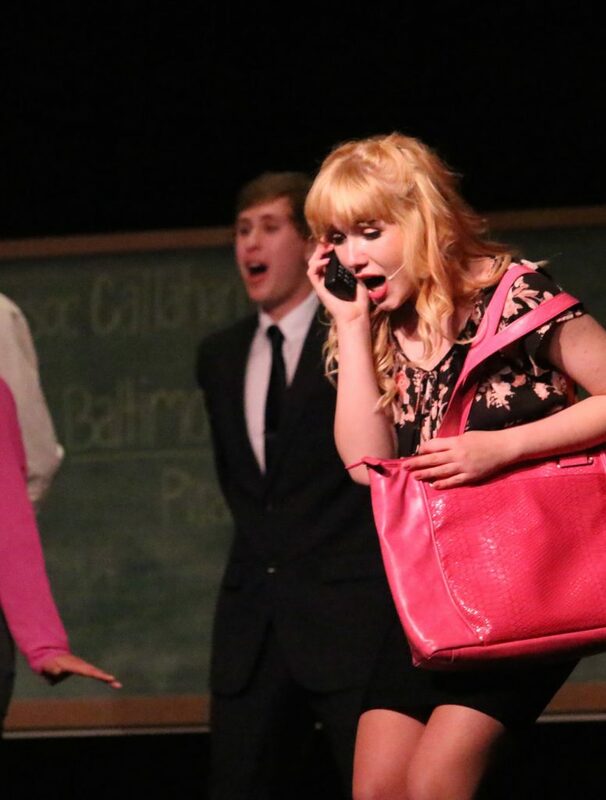 Legally Blonde Jr. is playing until May 7th, and it is definitely a “fabulous” production everyone should witness. Thank you so much for coming and giving us such a delightful review! Just so you know, you never have to guess, because it is Rodrigues with an s.
I apologize for the error! It has been fixed. This is such a lovely, well-written review! I appreciate the fact that Foothill supports the arts and activities from other schools! My family loves seeing shows at Foothill as well.